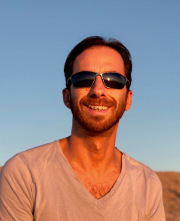 Patrice Salomé, an assistant researcher in Sabeeha Merchant’s group, was recently selected as one of 16 Assistant Features Editors for The Plant Cell, owing to his breadth of knowledge in plant biology. He will contribute summaries of research articles published in The Plant Cell. 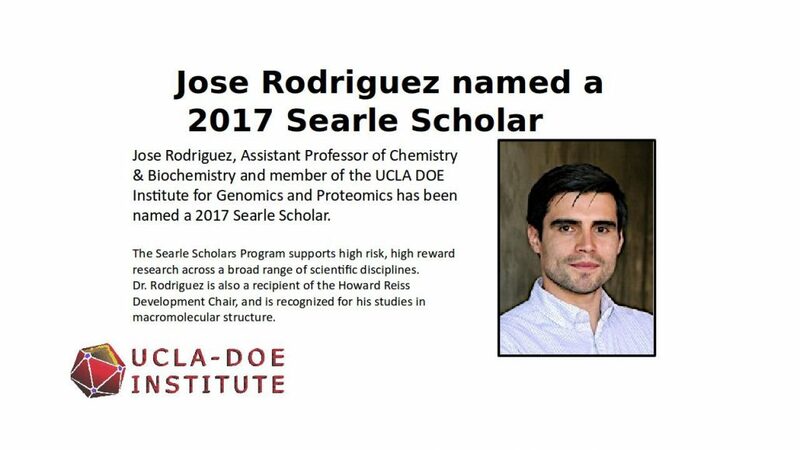 He has already published 11 “in Brief” articles for the journal, covering a range of topics, including micronutrient uptake in plants, chromosome segregation and light- and hormone-regulated seedling development. Patrice is also a writer for “Plant Cell Extracts”, on the blog site Medium.com. He coined the name of the blog, which is sponsored by the American Society of Plant Biology (ASPB), and contributes to ASPB’s science communication efforts by making cutting-edge research in the plant sciences accessible to the larger community. Some Like it HOT: Protecting Plants from Heat Stress. Plants Get Jetlag Too: A Play On Flowering Time. Plants: the Green Starfish of the World. 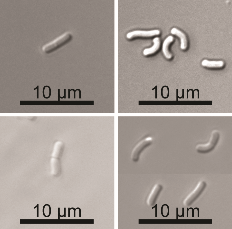 During an initial structural and proteomic survey of the model archaeal microbe Methanospirillum hungatei we identified proteins comprising the attached cellular flagellum. Little was previously known about these archaeal appendages and we therefore characterized them and obtained the first atomic-level structure of a model archaeal flagellum. 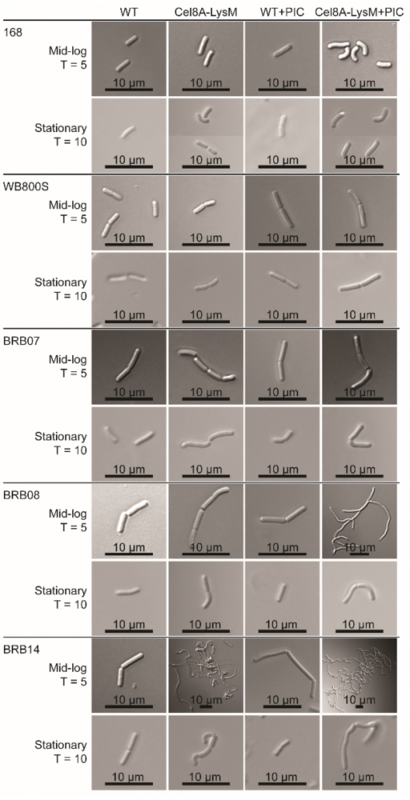 The findings reveal properties distinct from the bacterial flagellar counterpart regarding subunit size, post translational modifications and tertiary structure. Experiments are continuing to further characterize the post translational glycan modifications to the M. hungatei flagellum in collaborations by the Gunsalus and Loo Laboratories of the UCLA-DOE Institute. 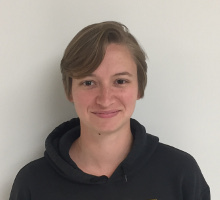 Nicole Poweleit, recent PhD with Dr. Robert Gunsalus accepted postition at the University of California, San Francisco, in the Department of Medicine. She will join Oren Rosenberg‘s lab in the Division of Infectious Diseases, working with microbial pathgenesis. The unicellular green alga Chlamydomonas reinhardtii excels at acclimating to a changing environment. We analyzed expression patterns of its three genomes in cells grown under light-dark cycles. Nearly 85% of transcribed genes show differential expression, with different sets of transcripts being up-regulated over the course of the day to coordinate cellular growth before undergoing cell division. Parallel measurements of select metabolites and pigments, physiological parameters and a subset of proteins allow us to infer metabolic events and to evaluate the impact of the transcriptome on the proteome. Among new findings is the observation that Chlamydomonas exhibits low respiratory activity at night and relies instead on fermentative metabolism; we propose that the ferredoxin FDX9 acts as the electron donor to fermentative hydrogenases. The light stress responsive genes PSBS, LHCSR1 and LHCSR3 all show an acute response to light at dawn under abrupt dark-to light transitions. 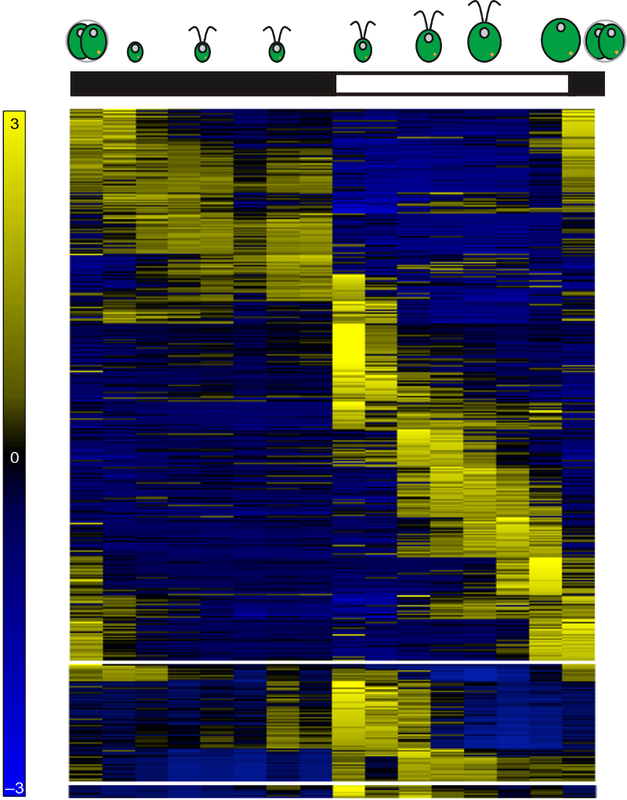 LHCSR3 genes also exhibits a later burst in expression in the middle of the day in response to higher light intensities. Each response to light (acute and sustained) can be selectively activated under specific conditions. Our expression dataset, complemented with co-expression networks and metabolite profiling, should constitute an excellent resource for the algal and plant communities. Figure 1: Heatmap representing gene expression for 11,306 differentially expressed genes over the diurnal cycle. Chlamydomonas cells grown under light-dark cycles accumulate biomass as a direct consequence of photosynthesis during the day, and divide shortly after dusk. Figure 2: Diagram of Chlamydomonas cell division progression over the diurnal cycle. Cells grow in volume and accumulate biomass during the day, using photosynthesis to fuel growth. Around dusk, cells will initiate the mitotic division and yield two daughter cells per mother cell. At night, daughter cells will regenerate their flagella, which were resorbed before cell division, and enter the quiescent phase of the cell cycle until the following dawn. Proteins that are site-specifically modified with peptides and chemicals can be used as novel therapeutics, imaging tools, diagnostic reagents and materials. However, few enzyme-catalyzed methods are currently available to selectively conjugate peptides to internal sites within proteins. To overcome this problem, the Clubb, Loo and Ton-That laboratories have developed a new enzyme reagent that labels proteins with peptides via a specific lysine-isopeptide bond at high yield. 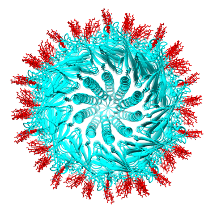 The new tool may be useful in creating antibody drug conjugates. McConnell SA, Amer BR, Muroski J, Fu J, Loo RO, Loo JA, Osipiuk J, Ton-That J and Clubb RT. 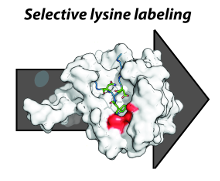 Protein labeling via a specific lysine-isopeptide bond using the pilin polymerizing sortase from Corynebacterium diphtheria. Journal of the American Chemical Society 140 2018; 8420-8423. New method to create stable enzyme coated B. subtilis cells for biotechnological applications. Microbes engineered to display heterologous proteins could be useful biotechnological tools for protein engineering, lignocellulose degradation, biocatalysis, bioremediation and biosensing. Bacillus subtilis is a promising host to display proteins, as this model Gram-positive bacterium is genetically tractable and already used industrially to produce enzymes. The Clubb group developed a unique two-step procedure that enables the construction of enzyme coated vegetative B. subtilis cells that retain stable cell-associated enzyme activity for nearly 3 days. The results of this work could aid the development of whole cell display systems that have useful biotechnological applications. 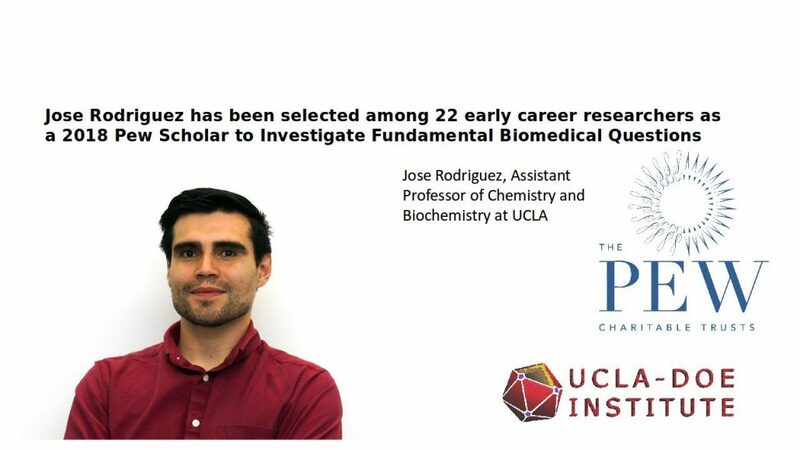 https://www.doe-mbi.ucla.edu/wp-content/uploads/2018/09/clubb_part2_featured.png 229 232 DOE-MBI Staff /wp-content/uploads/2014/11/institute-300x84.png DOE-MBI Staff2018-09-17 14:53:362018-09-19 10:28:12New method to create stable enzyme coated B. subtilis cells for biotechnological applications. 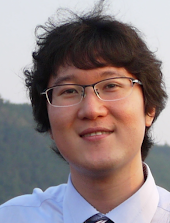 Duyoung Min, Postdoc in the Bowie lab received the 2018 Chancellor’s Award for Postdoctoral Research. 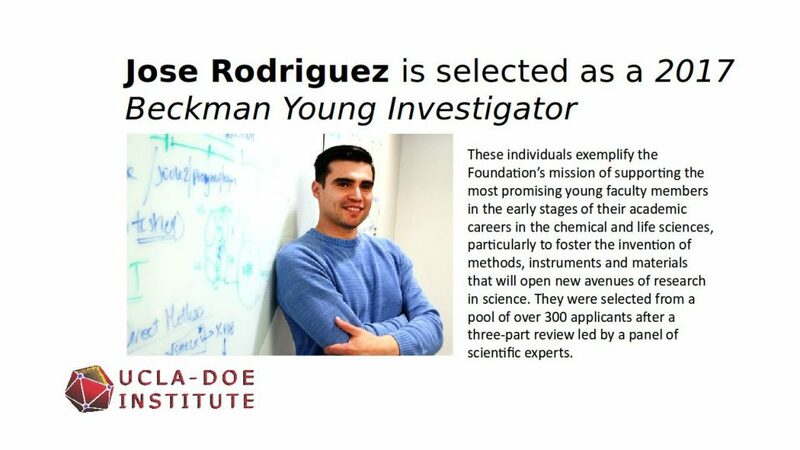 Duyoung developed methods that allowed him to investigate the folding of the most complex proteins ever examined experimentally. James Bowie was named Fellow of the Biophysical Society and he delivered the Choh Hao Li Memorial Lecture at Academia Sinica. 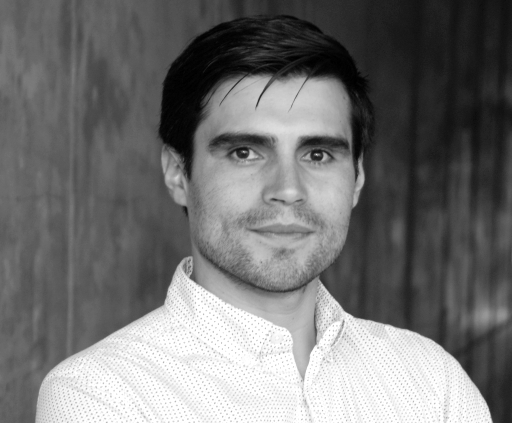 UCLA Chancellor’s Postdoctoral Award, the Burroughs-Wellcome Career Award at the Scientific Interface, has been awarded to Calin Plesa, one of 6 top postdocs to receive of this award. The award is $500,000 to begin his career.